The confusion at the Fed continues. On Wednesday, Jerome Powell justified hiking rates 0.25%, while maintaining their projections of two further hikes this year, by painting an upbeat picture of the U.S. economy. “So, despite record low jobless claims, retail sales remain exceptionally weak. There are two reasons for this which are continually overlooked, or worse simply ignored, by the mainstream media and economists. 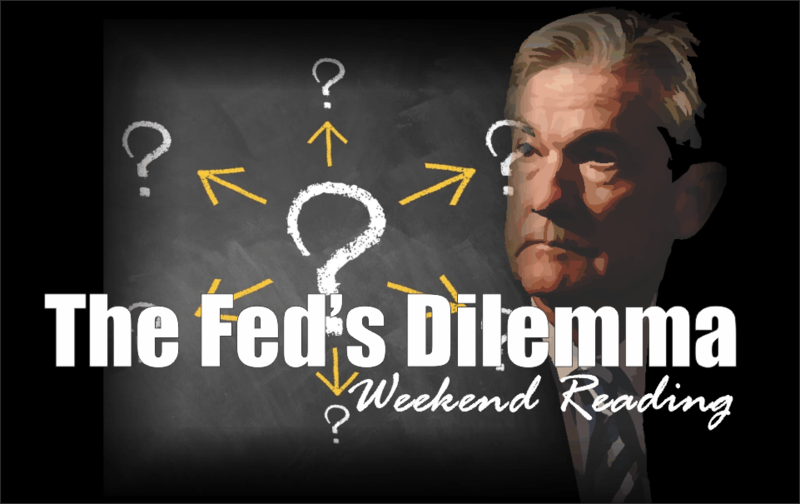 The Fed’s dilemma is quite simple. The Fed must continue to “jawbone” the media and Wall Street as economic growth has continued to remain sluggish. As shown, the Fed continues to remain one of the worst economic forecasters on the planet. While the Fed is currently “hopeful” of a stronger 2018 and 2019, they are likely once again going to be very disappointed. But in the short-term, they have little choice. Unwittingly, the Fed has now become co-dependent on the markets. If they acknowledge the risk of weaker economic growth, the subsequent market sell-off would dampen consumer confidence and push economic growth rates lower. 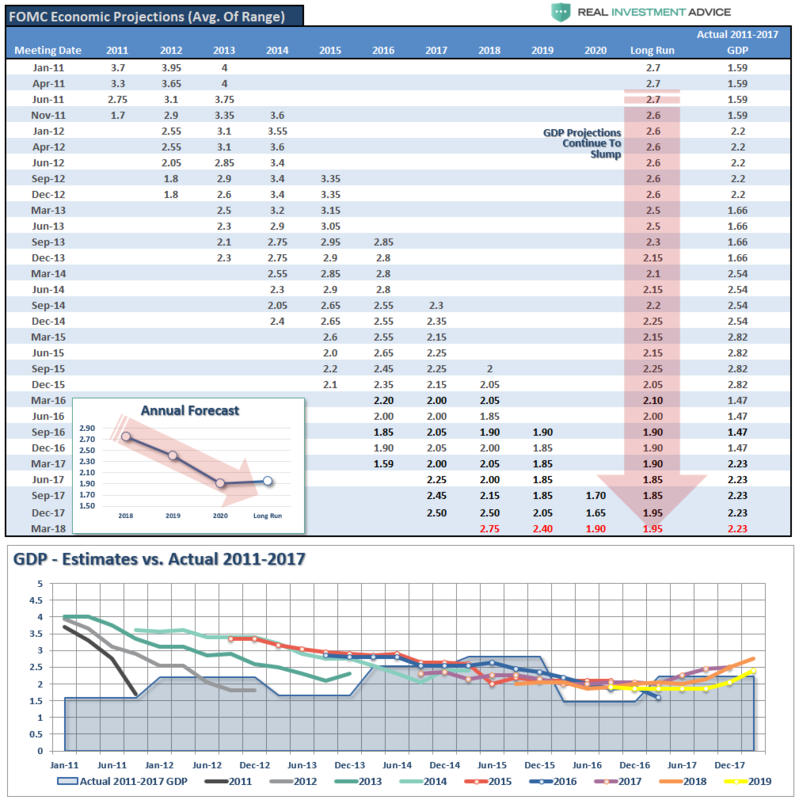 With economic growth already running at close to 2% currently, there is very little leeway for the Fed to make a policy error at this juncture. The Federal Reserve has a very difficult challenge ahead of them with very few options. While increasing interest rates may not “initially” impact asset prices or the economy, it is a far different story to suggest that they won’t. In fact, there have been absolutely ZERO times in history that the Federal Reserve has begun an interest-rate hiking campaign that has not eventually led to a negative outcome. 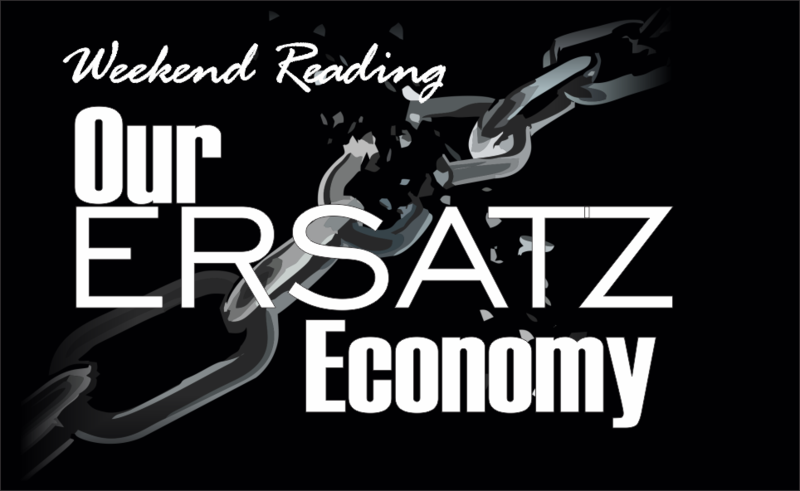 Here is your weekend reading list.